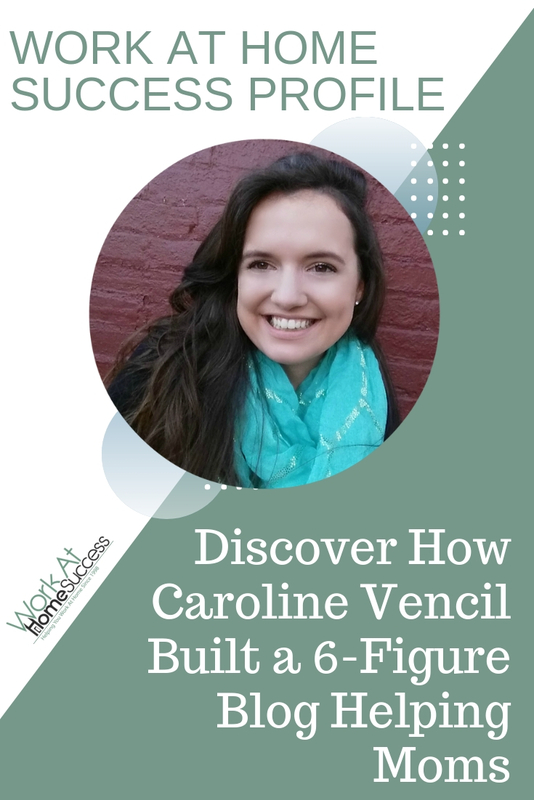 Caroline is a full-time blogger, mom of four, wife, and pro multitasker. She built a six-figure blog in less than 3 years while being a full-time mom and wife. 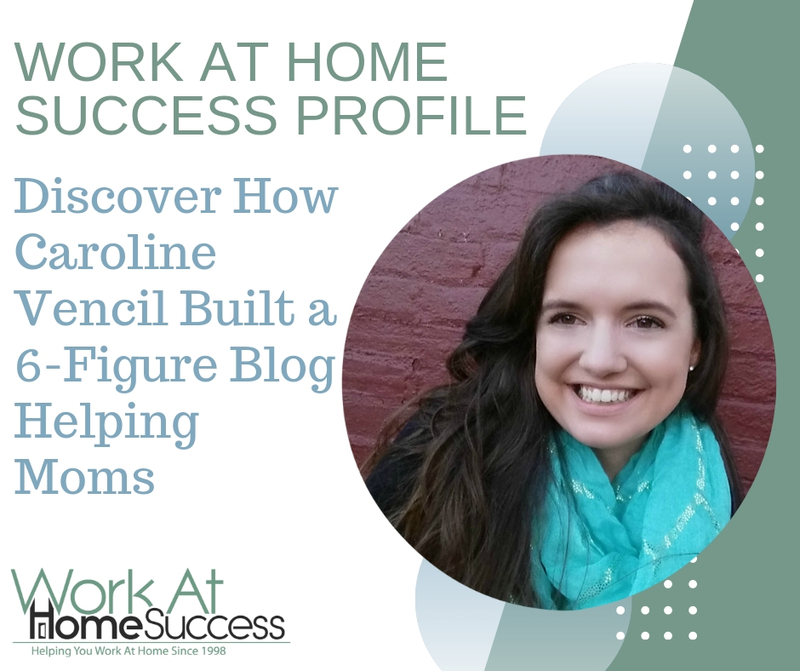 Her passion is to teach other women how to make money from their homes through blogging and focusing on the right tasks that will make them money. I got started working from home when I was 6 weeks postpartum. I was on Pinterest and I read an income report from a blogger making $20,000 in a month. For some reason – maybe lack of sleep or just desperation to stop living paycheck to paycheck in my own life – I figured that if they could make that much from their blog, I could, too. So, I started my blog and expected tons of followers immediately. If didn’t take long to realize that this was work… hard work. From there, I got serious. I invested in my education, learned from the pros, and started to find my own footing as a blogger. Within a year and a half, I was making more than my husband. And now, 3 years later, I’m making six-figures while I work from home writing and helping other women live their lives fully. I chose blogging because it gave me the most freedom. There was no one to answer to, no bosses or deadlines to make, I could truly do it while my kids slept and still make money. There are many other careers out there that I think are fantastic, but none of them had the same kind of flexibility of not being tied down to clients or deadlines. I knew that I needed something that would let me be there for my kids and family first. And that’s really why blogging fit so perfectly. I got started blogging by jumping in with both feet. It was a little crazy, I’ll admit! I knew nothing about how to code or set up a blog or anything at all. But I bought my domain name and started writing. That was really the only thing I needed to do to start my blog was to do just that – start! In blogging, a lot of our income is dependent upon getting traffic to our sites. So in order to make money, I needed to get traffic. I did that from a combination of writing posts that I knew that my readers would be looking for on Google and Pinterest, and by writing posts that solved the problems of the kind of reader I wanted on my email list. Once a reader subscribes to my email list, they are much more engaged in our relationship and are more likely to buy from me in the future. I use a combination of Pinterest, Facebook groups and pages, paid Facebook ads, and connections with other bloggers to grow my business. The free promotion of Pinterest and Facebook goes a long way in the blogging world. And using paid ads to target a specific type of reader on Facebook has proved to be very useful as well. My usual day looks like getting up at 5 and working until I have to take my oldest son to school at 7:30. Then I continue to work until my other children get up. Once they’re up, we have a pretty standard family day – errands, trips to the grocery store, playdates, bible studies, etc. I work again when my youngest naps for about an hour or 2, and then go back into mom mode when my oldest gets off the bus at 4. After bedtime, I’ll finish up some tasks and prep for the next day. I wish I knew that there’s no such thing as making money overnight. Initially blogging was kind of sold to me a this way to get rich quick and it just isn’t like that. No matter what kind of work at home job you find, it is just that – work. It’s likely that it’s work that you love, that gives a great deal of flexibility and lets you enjoy your life more than someone at a standard job, but it is still work. Again – it’s great work and I love it now! But I wish that more people had been upfront about just how much work went into those blogs that do so well! If someone told me that they wanted to work from home, I’d tell them to go for it, but to keep their expectations in check. Again, there’s no such thing as making money overnight and it’s important to keep that in mind. There will be tough times, but you will have to stick through them and it will be worth it in the end. Make sure that what you are doing as your work at home career is something that you love, but is also something that other people actually want. There’s no point in having a job if you hate it or you can’t make money from it! Do what you love, focus on money making tasks, and stick with it. Those are my biggest pieces of advice.